Public companies often see a disconnect between their performance and their valuation. This is especially true for public companies with a market capitalization of less than $10 billion. The challenge for mid-cap companies (and smaller) is that market efficiency breaks down for them due to a lack of awareness and understanding of their story. This in turn causes analysts and investors to assign an inappropriate value to these companies which is detrimental to their cost of capital. CEOs that pound the table, fervently arguing that their company is undervalued, only succeed in damaging their own credibility. Such behaviour will always fail to effect any constructive change in shareholder value. Instead, leadership should turn to a sound investor relations framework to enhance shareholder value and achieve a fair valuation for their company. Connected – Tell the story to the right people in the capital markets. 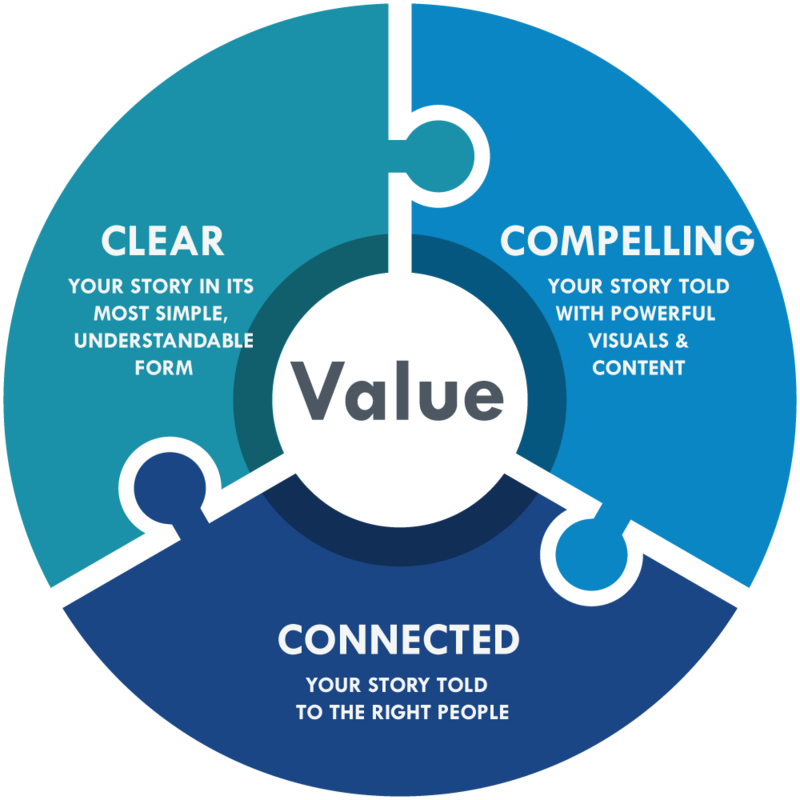 Your investors expect a compelling story, a bold vision and an authentic message. If you’re thinking “My company’s story isn’t that inspirational at the moment,” that’s ok. All great success stories have humble beginnings. But before any company becomes a great success, there is a vision that inspires employees, customers and investors to be a part of the journey. Your vision for future success. And you must do this without drowning your investors in detail. If you would like to learn more about how to do this, read my article entitled Uncover Your Company’s Great Story. Once you have come up with a compelling vision for your company, you need to articulate how you’re going to get there. This normally takes the form of a five-year plan. Corporate boards have become increasingly risk averse and therefore reluctant to put forward a five-year plan. Recently, however, we have seen a number of boards and leadership teams replaced through proxy contests precisely because they failed to articulate a compelling business plan. Failing to lay out a detailed long-term plan to generate shareholder value opens the door to someone like Bill Ackman who will come in and do it for you (Although you might be out of a job). Once you have established your organization’s five-year plan, launch it using the principles below. Packaging Matters. Every book is judged by its cover. If your story isn’t packaged properly, it will fail to gain the attention of its intended audience no matter how compelling and interesting it is. If you fail to use these tools then you are failing your investors. If you would like to learn more about how to do this, read our article entitled The Packaging Matters. Disclosure in the old days (three years ago?) meant transmitting a news release over the news wire, filing it with the securities commission, and uploading it to the corporate website. While these actions still satisfy your regulatory obligations, if you stop there you will fail to fully engage your current investors and reach new ones. Social media syndication to LinkedIn, Twitter, Stocktwits, etc. Investor communication channels are rapidly evolving. Is your investor communication platform ready? If you would like to learn more about how to build the right platform, read my article entitled Investor Communication Platforms. Nothing can adequately substitute for you telling your company’s story in person. If you’re going to launch a five year plan, do it justice by holding a high quality investor event. Hold your event in one of North America’s investment centers. For those that can’t be there, ensure that you webcast your event with accompanying visuals. Commit to holding an investor/analyst day once a year to update the capital markets on your progress against your plan. It is also important to arrange roadshows to meet one-on-one with your institutional investors after significant news. That said, avoid over-marketing. The maximum number of times I recommend hitting a single market in a year is four. Any more than that and your investors are going to wonder who is running the company. So, now that I have provided this framework, does it actually work? The figure below represents a case study of what this investor relations framework, combined with solid operational performance, accomplished over four years. Connected – Told to the right people in the capital markets. Thank you for reading this article. If you liked it then please share it using the social media buttons.